Providence Golf course is around the corner and other several courses nearby. 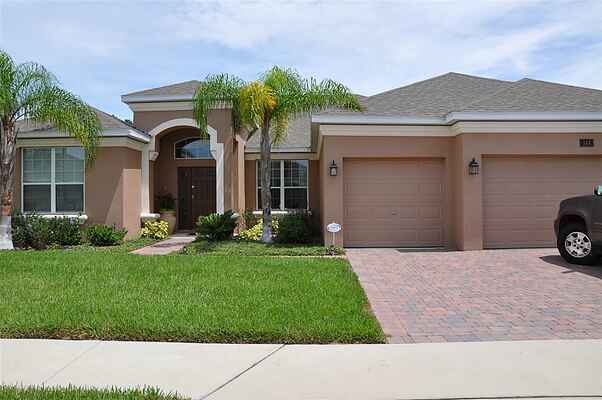 This gated community is situated close to Orlando's Theme Parks. Fully landscaped within woodlands and lakes, keeping the conservatory the way it should be. Charming villa,Watersong Resort, 15 min.to Disney, European decorated,5bedr,4bathr. (2 Master Bedrooms) 3 car garage.extended pooldeck(50x28ft),WII gameconsole,formal and kitchen dining,child safety fence,equipped with all modern fittings and fully airconditioned. Hifi,HD,LCD-tv's,broadband internet(take your own notebook) and free local calls.